The course of William Osler's life took him from a parsonage in the Canadian wilderness, the youngest of a clergyman's children, to a prestigious post at Oxford University, a baronetcy, and the reputation of being the world's greatest living physician. A scientist, doctor and teacher, Osler never made any major medical discoveries. But he wrote a landmark medical textbook, reformed medical education, and changed the lives of multitudes. Though Osler always maintained a private medical practice, throughout his career he was primarily a teacher, a researcher and a pathologist, and he did not often separate the three. At all three institutions where he taught — McGill University, University of Pennsylvania, and Johns Hopkins — Osler emphasized the importance of practical instruction, teaching in the laboratory, at the bedside and in the morgue. A deep understanding of his subject combined with a quick wit made him a favourite among students and patients. A scientist and a humanist, Osler published frequently and was often called upon to speak at medical conferences. His talent as a writer soon led to a request for Osler to write a medical textbook; this he did, and The Principles and Practice of Medicine became a landmark textbook, going through eight editions in Osler's lifetime and sixteen in total. 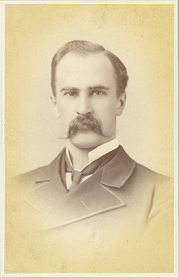 Osler's life was not only characterized by his professional achievements. He was generous with friends, acquaintances, even near strangers; the Osler homes in both Baltimore and Oxford were known for their hospitality. He had a sense of humour that leaned toward the mischievous, and liked to play pranks on his friends and coworkers. Children adored him, and the feeling was mutual; it was often said that he preferred their company to that of adults. Osler never retired, but a position as Regius Professor of Medicine at Oxford University, accepted in 1905, allowed him a slower pace and the chance to pursue other interests, such as his passion for book collecting. His wife, Grace Revere Osler, and son Edward Revere Osler, called Revere, were strong considerations in his decision to move. The family would soon be disrupted by the advent of World War I; Revere became a soldier and was killed in 1917. Osler lived two years more and died in December of 1919 at the age of seventy. Christ Church Cathedral in Oxford overflowed with mourners. Select Bibliography of Works about Sir William Osler. Cushing, Harvey. The Life of Sir William Osler. Oxford: Clarendon Press, 1925. Golden, Richard L and Charles G. Roland, eds. 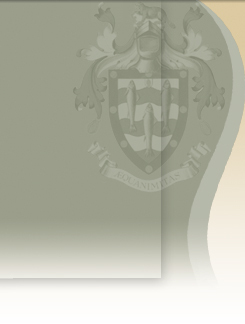 Sir William Osler: An Annotated Bibliography with Illustrations (1 volume plus addenda). San Francisco: Norman Pub., 1988. Nation, Earl F., Charles G. Roland and John P. McGovern. An Annotated Checklist of Osleriana (Volumes 1 and 2). Montreal: Osler Library, McGill University, 2000. Canadian Medical Association Journal (volume 10, Special Issue, July 1920). A collection of reminiscences and other articles related to Sir William Osler, including a bibliography of his works. Wilkinson, Anne. Lions in the Way: A Discursive History of the Oslers. Toronto: MacMillan Company of Canada, 1956.